ARTICLE – Below is a list of EDC gear I carry daily on my person. 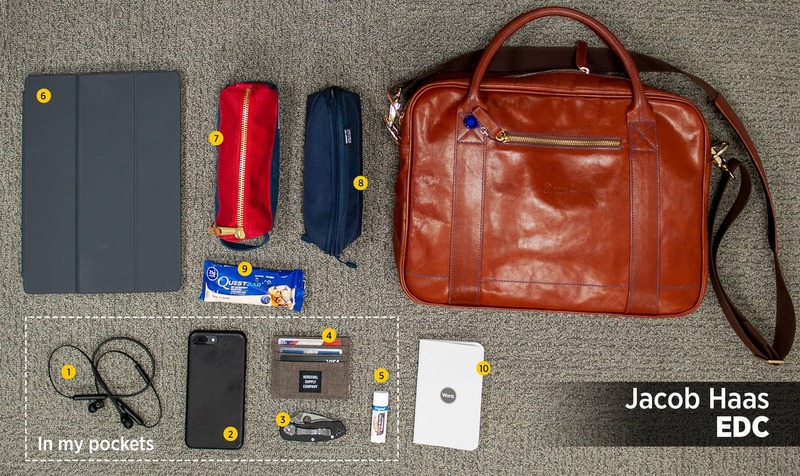 And below are the items I typically carry in my bag. I currently use the Danny P. Leather Messenger bag, which I reviewed previously. Although I’m really taking a hard look at Adam Savage’s EDC Two… it looks awesome.